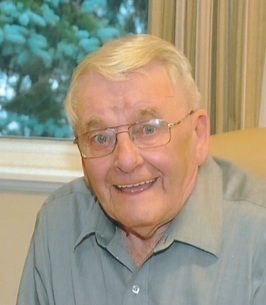 Ed Struyk ~ In His infinite wisdom, the Lord called unto himself Egbert Struyk on Friday, August 31, 2018, at Listowel Memorial Hospital. Ed was in his 81st year. Beloved husband of Trude (Schilstra) Struyk for 57 years. Loving father of Wanda & Frank Rozendal of Clinton, Arnold Struyk & Tammy Culp of Listowel, Emily & Graham Somerville of Listowel, Shirley & Ray Boonstra of Palmerston, Hilary & Stephanie Struyk of Listowel, Patricia Beyer & Herman Scholten of Listowel, Arlene & Brian Binkley of Drew, Melissa & Chris Stege of Listowel, and Linda & Dan Pearson of Atwood. He will be sadly missed by 28 grandchildren and 16 great-grandchildren. Brother of Peter & Henny Struyk of Dunnville, George & Ada Struyk of Cochrane, Harry & Madeline Struyk of Brantford, Con Struyk of Cambridge, Henry & Grace Struyk of Dunnville, Pearl & Albert Postma of St. George, and Bill and Sandy Struyk of Troy, and brother-in-law of Effie Struyk of Gorrie , and Tom Schenk of Georgetown. Predeceased by his sisters Mien Bakker, and Riet Schenk, brother Bert Struyk, and sons-in-law David Hamsma, Jerry Beyer, and Jim Greydanus. Visitation will be held at Eaton Funeral Home, Listowel, on Tuesday from 2:00 to 4:00 and 6:00 to 8:00 p.m. The funeral service will be held at Bethel Christian Reformed Church, Listowel, on Wednesday, September 5th at 11:00 a.m. Rev. Fred Folkerts officiating. Memorial donations to Listowel Memorial Hospital Foundation or Immanuel United Reformed Church, Listowel, would be appreciated. Trudy and families Our deepest sympathy to you all. Sending our Deepest Sympathy to the Struyk family at this difficult time. Cherish your wonderful memories. Our deepest sympathies with the loss of your husband Ed. Our thoughts and prayers are with the Struyk family as they grieve the loss of their dear Ed. Hilary and family. We were sorry to hear of your father's passing. Our sympathies to you and all of the Struyk families. Our deepest sympathies to everyone in the Struyk family, Ed will be dearly missed. Our deepest sympathy to The Struyk Family.